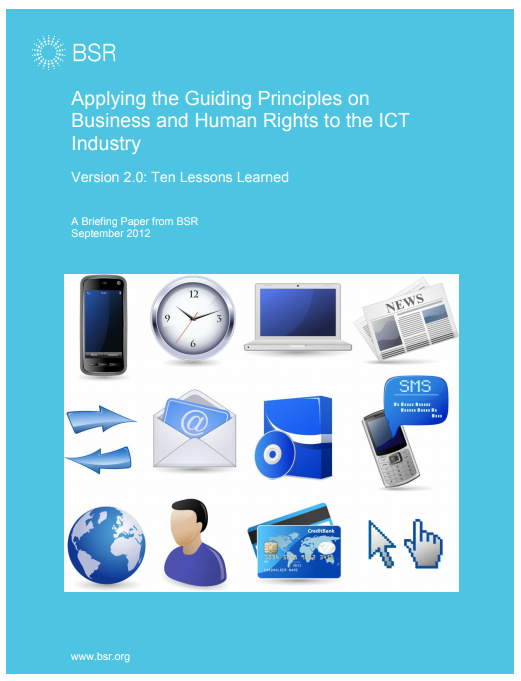 string(1305) "Resource Centre > Uncategorized > Applying the Guiding Principles on Business and Human Rights to the ICT Industry Version 2.0 – Ten Lessons Learned"
products, which can change even during the course of an assessment. company’s human rights risk profile following a significant event. well for human rights policies in the ICT industry. risks, but many (though not all) ICT companies consistently undervalue them. refreshed management systems and processes. reporting is a significant priority. lessons into their human rights programs and strategies.